Per maggiori informazioni telefonate allo 02462551 o scrivete tramite i seguenti contatti. E’ possibile, già adesso, comunicare alla reception le date delle lezioni a cui si desidera partecipare! 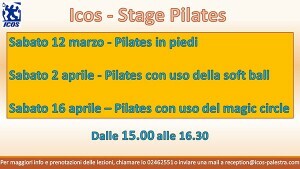 Un ringraziamento speciale alla Palestra Icos che ha accolto questo primo Stage di Pilates! 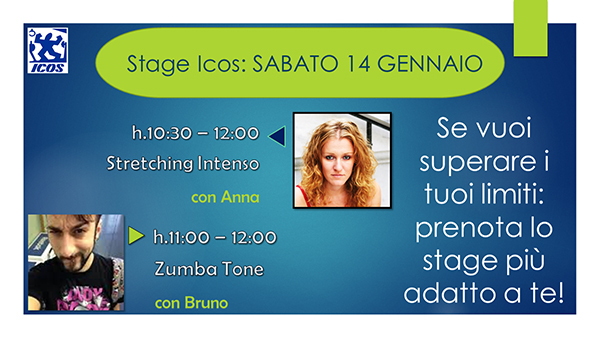 Grazie alla collaborazione di altre strutture fitness che hanno appoggiato l'iniziativa aiutando nella promozione. Palestra La Chimera e Palestra Fisic. 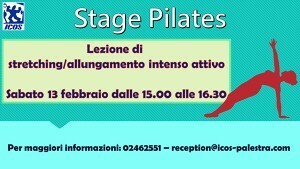 A special thanks to Palestra Icos who made possible this first Stage of Pilates! Thanks to all the clients that took part to it! Beautiful Energy! 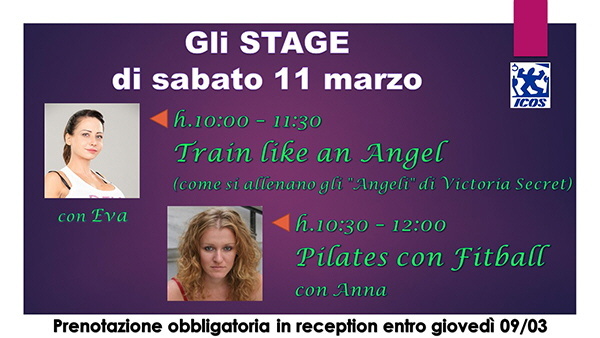 Thanks to the cooperation of other fitness center, who helped in promoting! 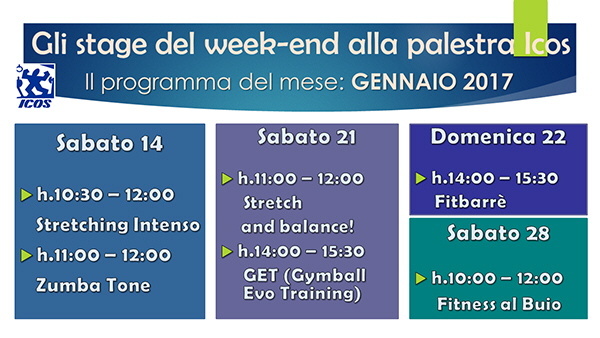 Palestra La Chimera and Palestra Fisic. sei interessato/a a cosa sia stata o possa essere questa “Masterclass di Anatomia! Una lezione di spiegazione e approfondimento sull’anatomia del corpo umano, in particolare sul sistema scheletrico e muscolare: nel pilates si sentono spesso riferimenti all’anatomia… (creste iliache, ischi, psoas…ecc.) e non sempre capita di aver effettivamente chiaro a cosa l’insegnante faccia riferimento. Non solo, oltre a sapere dove più o meno si trovi qualche “pezzo”, sarebbe utile anche avere la consapevolezza di come si muova, da dove parte il suo movimento e come può essere gestito… Quindi non solo teoria, ma anche pratica: capire, sentire, provare ciò che accade dentro di noi quando eseguiamo dei movimenti! you are interested / a in what has been or may be this ” Master of Anatomy ! We made the first one on Saturday, February 27 … What was it about? It was lesson of explanation and analysis of the anatomy of the human body, especially of the skeletal and muscular system. In pilates often we listen to anatomy words … (iliac crests, Ischium, psoas … etc.) and we do not always have clear what the teacher is refererring to. It’s not only to have more or less clear where some “piece”of us is, it would also be useful to be aware of how it moves, from where and how it can be managed … So, not only theory… but practice, understanding and feeling what happens inside when we perform a certain movement. Simple! A mindful visualisation and the awareness of what we are doing, it exponentially increases its efficiency, besides the fact that we are most likely to perform an exercise in the best way. Scientifically it has been proven that the only act of thinking to activate a part of the body for a given movement, activates the muscle as if we were actually performing the action. Now think of activating both mentally and mechanically a part of the body … the result is double! It ‘a master class that can be useful to anyone who practices physical activity … and I would say… to anyone in general. If you are interested in attending the next masterclass, connect with me, there is not yet a date scheduled, but the more of you will be potential attendants, the sooner we will be able to reschedule it! If you are interested in proposing it in your center (gym, dance studio, or any kind of class …), please contact me !!! I would be more than happy to share and collaborate ! !